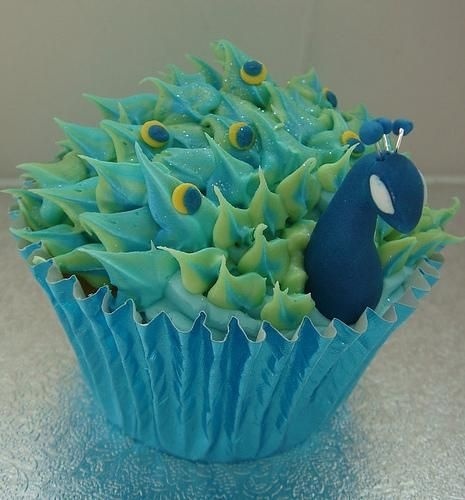 By cupcakeSerenity on October 5th, 2012 . Filed under: Cupcake Ideas, Photos . These are too almost beautiful to eat! The sparkles are a nice touch. Anyone know how they did the feathers on his head?